I have to admit it. I’m guilty. My family had a conversation about cell phones recently, and my husband asked if I take mine everywhere. I replied that, yes, I do take my smart phone with me nearly everywhere. His question stemmed from something he’d heard on the radio. The show was about how the majority of people carry their phones from room to room. In fact, many people are unwilling to part with them even for a few moments. Of course, having such technology at our fingertips at all times is not without a cost. Some cell phones currently cost as much as $1,000 or more. On top of that, the monthly bills can be well over $100 or more. Fortunately, there are things that can lower your monthly cell phone bill. Here are few to check out. Did you know that you could be paying for cell phone services you don’t even use? When my son was low on funds, he turned off group texting and some other options on his plan. This saved a lot of money every month. Make sure you know what your plan covers and what it doesn’t. If you’re paying for things you don’t use, contact your service provider. Ask if you can change your plan to stop paying for those unused options. There’s a possibility you are either under or over using the data on your plan. If you overuse available data, you could be paying a much higher bill for the extra utilization. On the other hand, if you under use your data, you automatically pay more every month than you actually need. This is another reason to contact your service provider to see if changes can be made. It could help you lower your monthly cell phone bill and save a ton of money. I know it’s already March. But, if you’re still adjusting your budget for the year, don’t assume you can’t save on your cell phone plan. You don’t have to pay high rates month after month all year long. This is a budget mistake you don’t need to make. Instead, see if you can get a cell phone without a contract. Some providers have plans that allow you to pay as you go. This is a good way to lower your monthly cell phone bill. You don’t have to buy a cell phone from a local business if it seems too expensive. Furthermore, you can buy a phone from a completely different city if you want to. Shop around to see if you can find a phone and a plan that fits your budget. Just because your cell provider shows you the fanciest, newest phone it doesn’t obligate you to buy it. Even if your neighbor or friend has it, resist the temptation to compete with the Joneses. That will only cost you money. Alternatively, ask if they have a cheaper model or if you can continue to use the phone you already have. 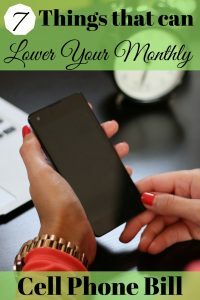 These are great ways to lower your monthly cell phone bill. Some cell providers offer internet and cell phone plans together. Others may also include cable TV in your bundle. It’s possible you’ll save money by bundling these services. Conversely, you must also watch out for companies that will charge you more through bundling. Find out what each individual item costs in the package before signing any contracts. In the long run, you might be glad you took the extra time to check. At different times of the year, some cell providers offer special deals on cell phones. This could save you money on your monthly bill, even if you’re currently under contract elsewhere. Obviously you’ll have to do a little figuring to find out how much it will cost to get out of your contract. Next, you’ll need to compare this figure to the cost of your new plan before making the deal. However, in the long run, it could save you money. Will You Still Take Your Phone Everywhere? If you’re like me, you’ll probably still take your phone with you practically everywhere you go. After all, many of us are dependent on our phones for many things. But using these ideas, you’ll at least lower your monthly cell phone bill to a more reasonable level. 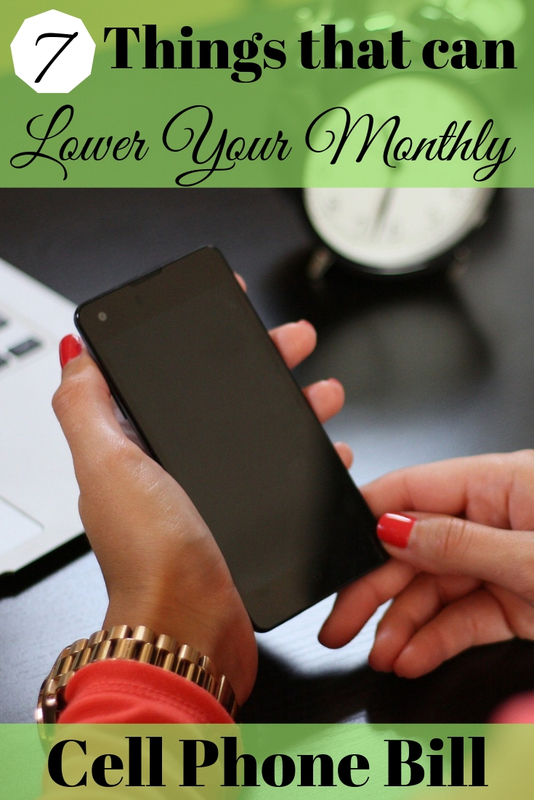 What do you do to keep your cell phone bill down each month? Wow! I bet you are missing receiving those services for such a great price. Yes, the charges for cell phones have certainly skyrocketed in the US in the last several years. It used to be much more affordable.